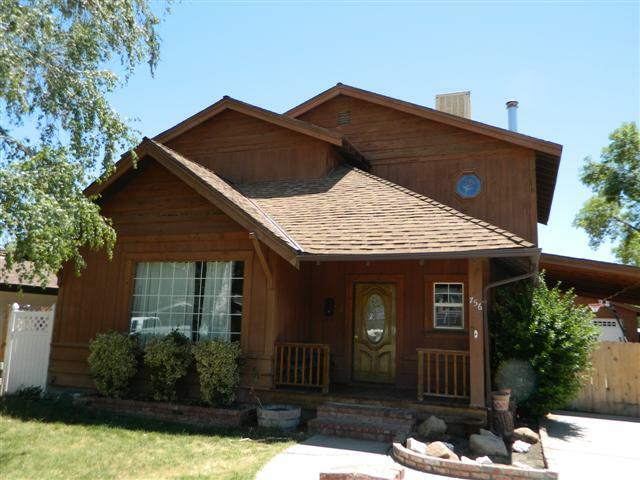 This 4 bedroom, 2 bath home is located in Downtown Bishop near the schools. Charming curb appeal and warm and cozy floor plan are two of the things you will get when you move in. The living room is lined with knotty pine panelling and is warmed by a free standing pellet stove. The room is framed by the large picture window looking to the front. In the kitchen you will find tiled counter tops, kitchen nook and hardwood floors. The bathroom downstairs has a claw foot tub and pedestal sink. The upstairs offers two bedroom and a bathroom with a large tiled walk in shower and updated vanity. The sales terms are subject to the seller's mortgager's approval.